Read our latest collaborative publication! If you are interested in participating in our research, click here to find out more! Like us on Facebook to stay updated on all things involving RALI! The Boston Roybal Center for Active Lifestyle Interventions (RALI) is dedicated to improving health in middle-aged and older adults by fostering an active and engaged lifestyle. 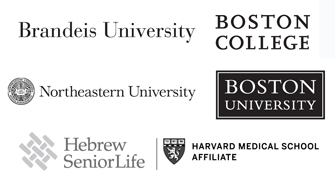 The Center involves a collaboration among researchers with specialized expertise in healthy aging from five Boston-area institutions. We employ motivational, social, and behavioral strategies as mechanisms to increase and sustain activity, a key ingredient for health and well-being. "Physical activity is a promising non-pharmacological, non-invasive, and cost-effective method of health promotion, although only a small percentage of adults engage in it regularly. Even a modest increase in physical activity along with a reduction in sedentary behavior could have far-reaching benefits for individual and population-level health." This research is supported by the Boston Roybal Center for Active Lifestyle Interventions (RALI Boston), Grant# P30 AG048785.